Activities on the Nigerian Stock Exchange (NSE) closed on a negative note for the third time this week. Capital market analysts informed Business Post that the major reason for the decline recorded today at the stock market was due to price depreciations suffered by some blue chip stocks. For instance, Nestle shed a whopping N14.97k on Wednesday to close at N800 per share, while 7up crashed by N13.96k to finish at N129.36k per share. Also, Forte Oil lost N6.98k to end at N87.2k per share, Flour Mill sank by 94k to close at N17.94k per share and GlaxoSmithKline depreciated by 75k to finish at N14.25k per share. Like yesterday, the all-share index closed in the red zone, dropping by 0.79 percent or 203.92 points to finish at 25,653.14 points compared to 0.50 percent or 129.75 basis points it lost the previous day to close at 25,857.06 basis points. In the same vein, the market capitalisation dropped by N70 billion to N8.83 trillion, in contrast to N8.901 trillion it closed yesterday after losing N44.7 billion. International Breweries topped the gainers chart on Wednesday with an appreciation of 89k to close at N19.89k per share, ETI increased by 19k to end at N9.71k per share, while Union Bank grew by 14k to finish at N4.30k per share. Also, Lafarge gained 10k to close at N44.10k per share and Fidson improved by 6k to end at N1.29k per share. The volume of shares exchanged on the floor of the NSE finished lower than what was recorded yesterday. 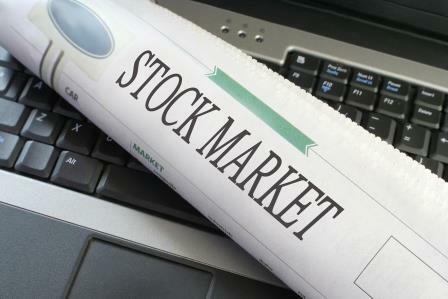 At the close of market activities today, investors traded 145.7 million units in 2,421 deals worth N1.4 billion. This is in contrast to 189.7 million units of shares sold the previous day valued at N905 million in 2,417 deals.